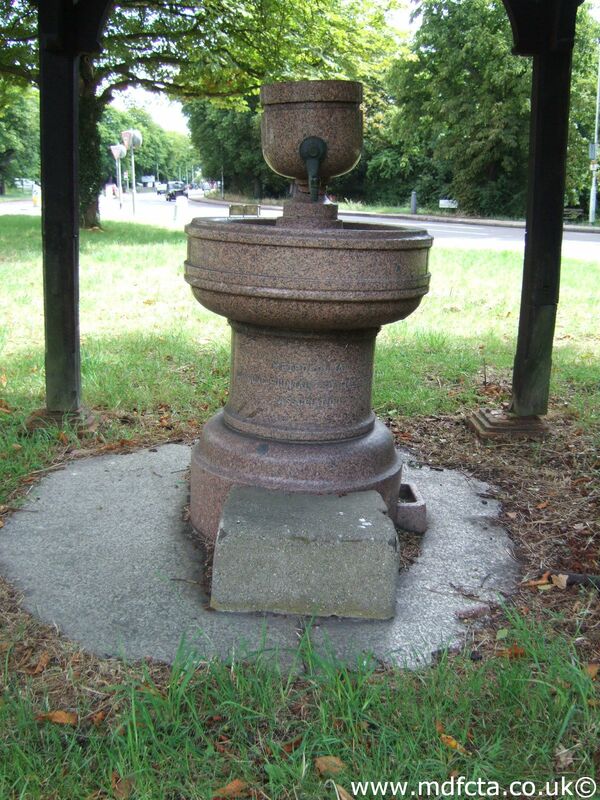 Are there any more Metropolitan Drinking Fountain and Cattle Trough Association cattle troughs in the London Borough of Redbridge? If you know of any other cattle troughs in Redbridge please send me details. In 1875 a trough , described as "special", was erected at Snaresbrook near the station by a Mrs. Ellis. In 1875 a 9ft 6in trough  was erected at Woodford Wells outside the Toll House. The trough was present until at least the 1960's. On 2 June 1911 a 6ft 6in trough  was erected at Woodford Bridge where Manor Road joins the High Street. In July 1884 a 4ft trough  was erected in Woodford village. 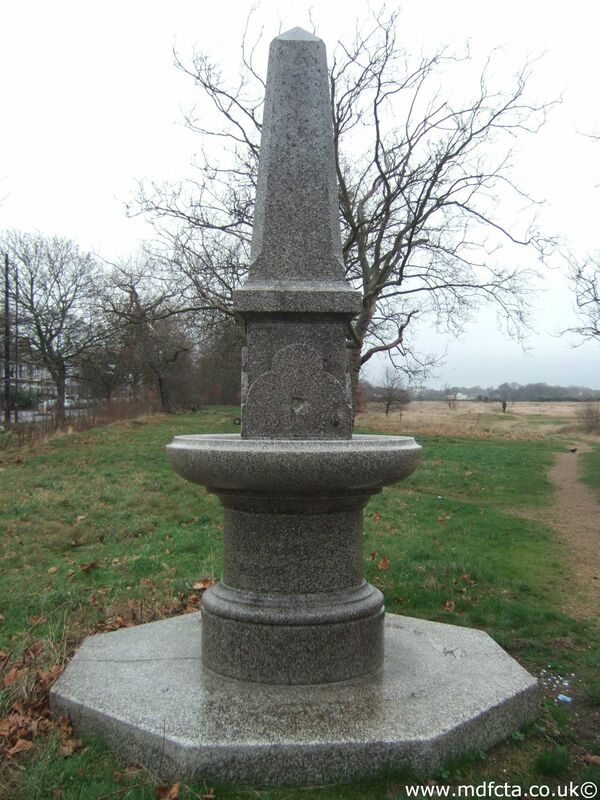 In September 1875 an 18ft trough  was erected at Woodford at the junction of Epping Forest Road & Buckhurst Hill Road. The gift of Mrs. Greenhugh (?). In July 1889 a 9ft 6in trough  was erected outside the Robin Hood pub In Epping Forest. The cost was defrayed out of Miss Constables legacy. This trough may have been stolen in the 1980's. 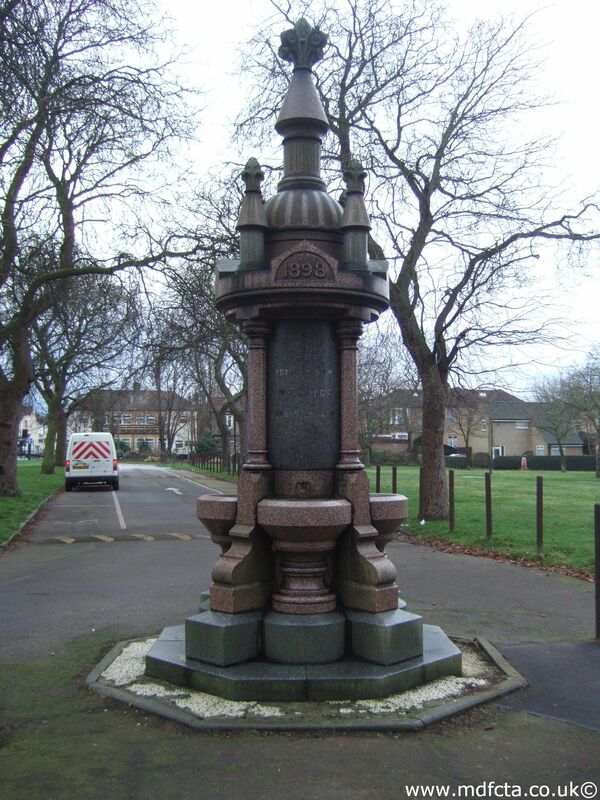 In February 1905 a 6ft 6in trough  was erected in Chingford at the junction of Ponders End and Woodford Roads. In November 1959 it was moved to Bury Road, Epping Forest . 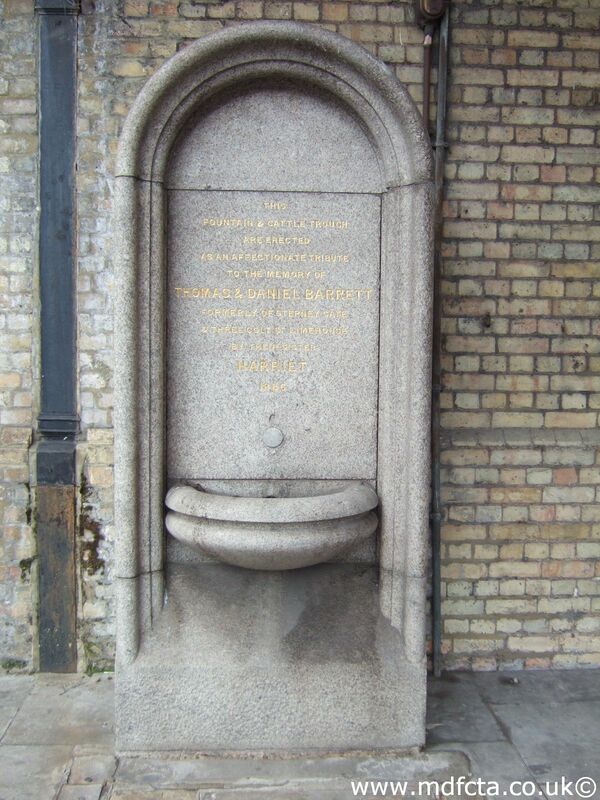 Are there any more Metropolitan Drinking Fountain and Cattle Trough Association drinking fountains in the London Borough of Redbridge? 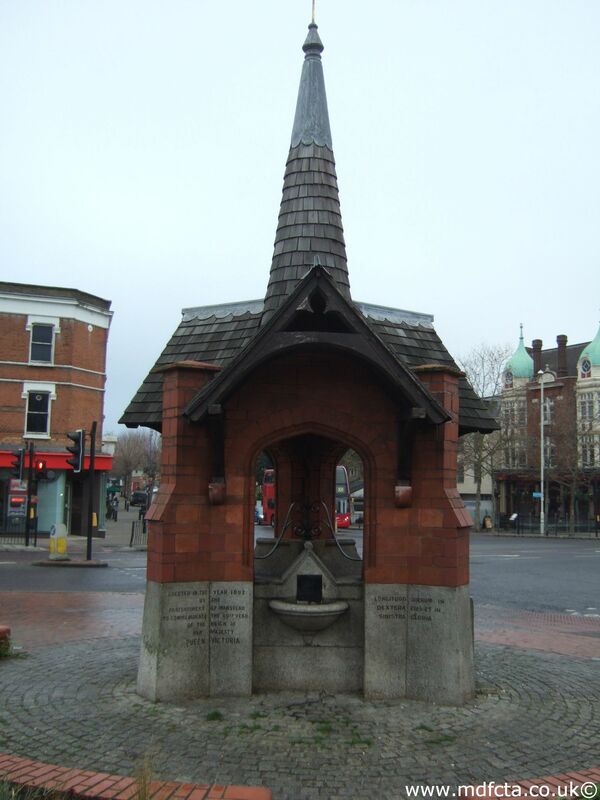 If you know of any other drinking fountains in Redbridge please send me details.